Some tricks, traps, skills or ideas associated with our life with G-whizz, or if I see something of interest on the internet I will provide a link to it here. Not mentioned in the instructions is what happens when the battery of the Ronstan Clear Start watch gets a bit flat, is that when you press the set button the watch momentarily displays every character on the dial then resets itself to 12:00. Seems that if the light function is turned on (Set turns the back light on) and the set button is pressed it turns on the backlight, which draws a lot of power. Drawing more power from the weak battery causes the voltage to drop to a point where the watch resets. The watch was also behaving strangely when the clear button was pressed, I normally reset the time before every race and pressing the clear button enters the appropriate mode, every digit and icon on the display would turn on when clear was pressed and it just sat there sulking eventually resetting itself. A fresh battery fitted and all is good again. Thanks to a contributor to Sailing Anarchy who goes by the name XYZZY who posted this information long before I knew there was a problem! One of the skills that really sets a competent crew member from a passenger is the ability to coils lines. A properly coiled line is easy to deploy, easy to stow and allows uncoiling without tangles and kinks, it also looks good! 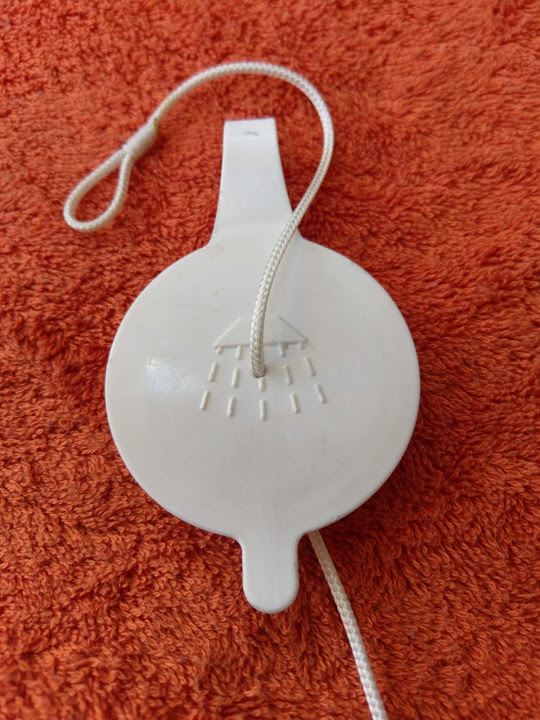 A kink in a line in action can vary from being bit of a pain to being downright dangerous, anyone that has had a spinnaker halyard jam during a drop will know exactly what I mean. The method of coiling most commonly used will put twist into the line, there is some school of thought that continual twisting of twin core line could induce memory into the rope structure giving kinks forever. Just about every yacht I have been on uses a simple coiling method, but a better method is coiling in a figure eight, the following YouTube video is a good reference. (Just ignore the video game that is playing in the background towards the end, look through companion way, and the guy’s enormous hands that really does make it look really easy, especially the way he uses his little finger as a temporary hook when finishing off). The ads at the beginning would suggest that this video gets a lot of views. 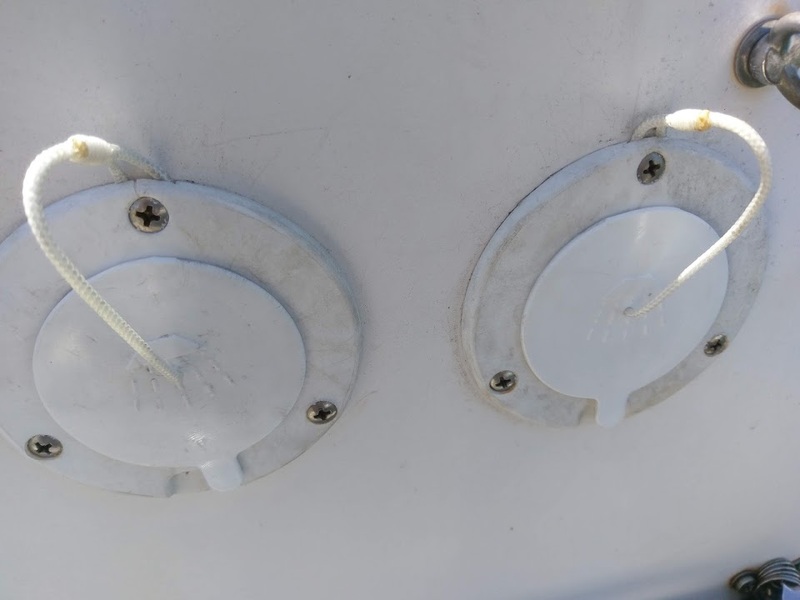 First a caveat; it would appear that different jurisdictions have different rules regarding who can service and how often inflatable PFDs should be serviced, further different manufacture make different recommendations for servicing. I’m not sure where I found the following however the text and graphics keep popping in a number of locations, I guess that they have now popped up on this site. Portable Document Format vs Personal Flotation Device – a bit confusing but that’s a whole different story for another time and place. practical there is either a design flaw or a substandard material specification. the tongue that connects the cap to the cup goes through a severe bend, it eventually (actually quite quickly) breaks. 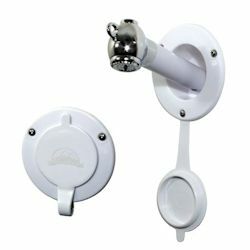 The 2 Scandvick Shower Cups with caps on G-whizz after a simple modification. that little joining tongue break again. I decided on a simple modification, that Should have come to mind a long time ago, get rid of that pesky tongue and replace it with a piece of cord – simples! Modified Scandvik Cap before tieing the stop knot and removing the suspect tongue.